Like a tangled web of myth, stupor, and confusion, “Religion”, since the beginning of time, has contrived and conspired to enslave the mind and heart of all mankind, and lead the whole world astray. Appealing to man’s inherent proclivity toward ego-driven autonomy, power, and hoped for immortality, “Religion” has made promises she cannot keep. The consequences of her defective doctrines and cleverly devised creeds have been far reaching, and devastating. Rather than being an effective antidote to the unbridled passions of men, “Religion”, far too often, has been its murderous facilitator. Known as Babylon in the Scriptures, the “Religion” that began with the Adversary ‘Satan’, was successfully packaged, marketed, and disseminated over the entire earth. In the East, these Babylonian ‘Chaldean Mysteries’ appeared as Hinduism, Taoism, Buddhism, and Islam. And in the West, owing to their successful assimilation throughout the Roman Empire, a harlotous union of church and state “baptized” the Chaldean Mysteries, christened heathenism, wrapped it in the banner of “Christ”, and gave the world Christianity. From Eden to Egypt, from Mecca to Rome, from Babylon to Jerusalem, all nations have drunk from the chalice of her lies, for a great counterfeit has been foisted upon the whole world. Now, at long last, comes a stunning and revealing account of this powerful religious system whose spiritual and political influence has deceived the nations and led the whole world astray. At this decisive juncture of human history, all humanity stands on the brink of a cataclysmic clash of religion and civilization. The alignment of opposing forces, so accurately predicted in prophecy, will surely draw this worldly system to its fated destruction. 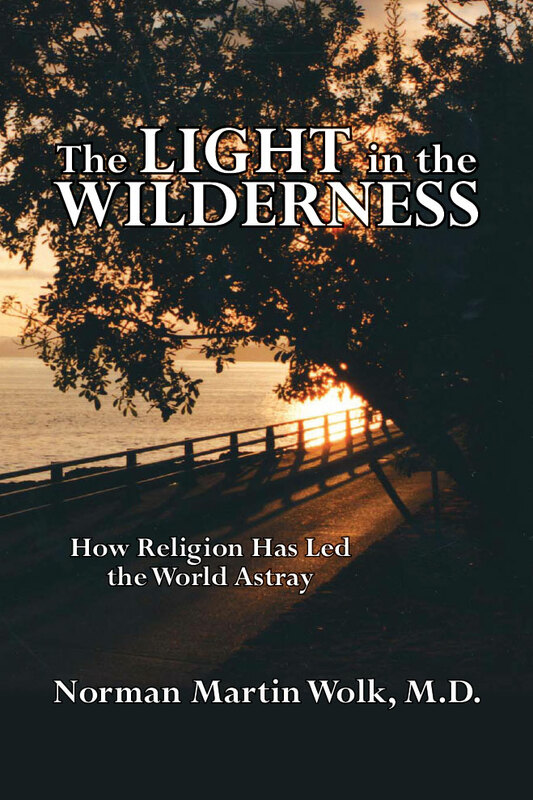 But to all who hunger and thirst after righteousness; to every one who seeks to escape the deception of “Religion” for the truth of Revelation, and to those who earnestly desire to leave the broad road for the narrow, The Light in the Wilderness can lead the way. It took all of human history to get us where we are. Now is the time to come out of the darkness, and into The Light.